So what to do in Osaka? Osaka is an exciting city to visit! It’s located in the KANSAI REGION of the main island of Honshu, and is a part of the Keihanshin area which covers the cities KYOTO – 0SAKA – KOBE. The Keihanshin area is the second most populated area of Japan after the Greater Tokyo Area of Tokyo/Yokohama. The area is densely populated with roughly 20 million people and around 3 million people in Osaka City. Osaka is the capital city of Osaka and is absolutely buzzing with life. The Kansai region here is known for being the cultural and historical heart of Japan, and Osaka boasts an interesting mix of new and old. Narrow alleyways, flashing neon lights, traditional street markets, big corporate offices and high-end fashion brands all coexist with old temples, shrines and theaters in a hectic but interesting way. There is lots of stuff to see in do in Osaka, so here’s my TOP 10 picks of places to visit! 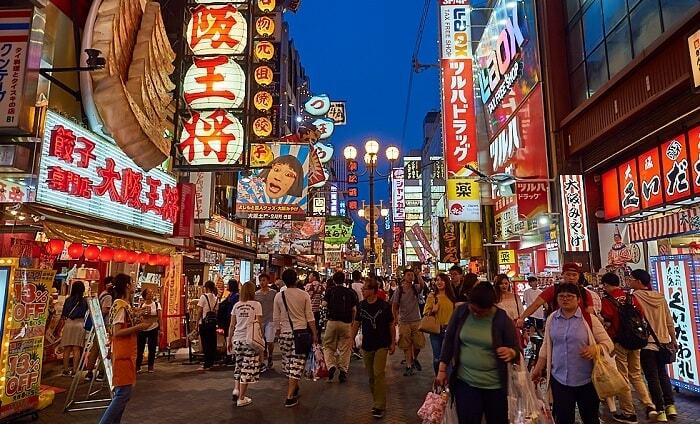 Shinsaibashi is the main shopping area of Osaka, and here you’ll find absolutely anything from high-level fashion brands to street markets and 100 yen stores! It’s an extremely busy place but a fun place to spend some time. 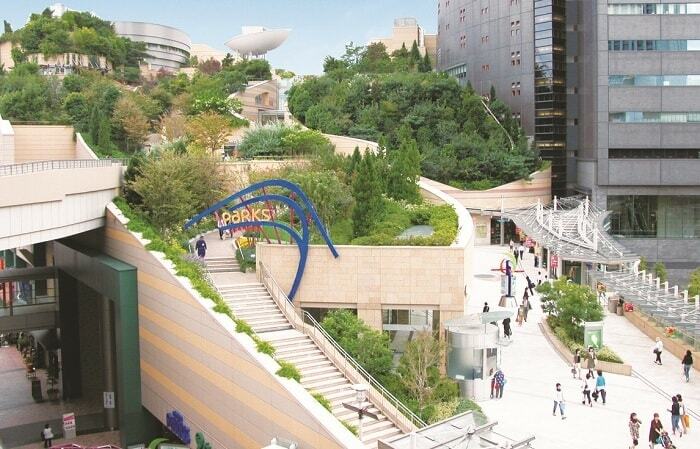 Close to Shinsaibashi, you’ll find AMERIKA -MURA, which is the American style shopping area of Osaka. It’s very popular among young people with lots of hip hop and rap street performances, and young people who likes to dress up in a variety of weird and funny styles. Within walking distance you’ll find NAMBA which is popular for being the entertainment district of Osaka. Namba is famous for its great cuisine and “Kuidaore” eat till you drop food culture and you’ll find a huge variety of eateries there. Namba is also the place to go for electronics goods, e.g. the BIC CAMERA store. Dotonbori is like Namba the place to be when it comes to restaurants. The Dotonbori canal runs through Namba and is one of the famous symbols of Osaka. 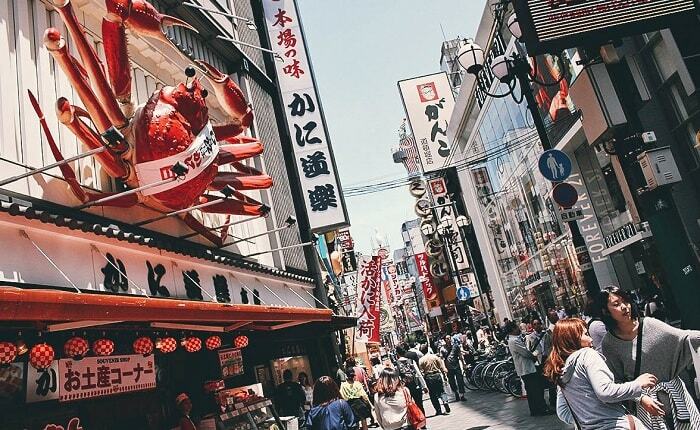 Some of the landmarks of Dotonbori are the KANI DORAKU CRAB (a huge installation featuring a massive crab which can move its arms and eyes, and is outside the KANI DORAKU restaurant) and the GLICO MAN neon sign. Among other attractions in the Osaka bay area you’ll find Osaka aquarium (Kaiyukan). 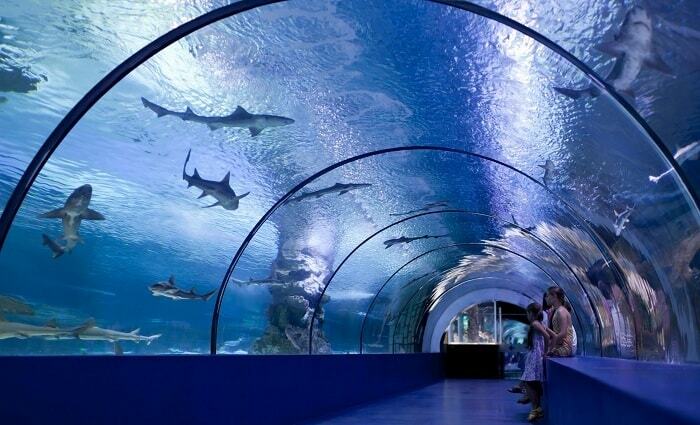 It is very nicely laid out and among the largest aquariums in the world. It is home to a huge number of species and marine animals and one of the most popular attractions is probably the gigantic whale shark “kai-kun” as well as the dolphins and penguins. Guess I had to mention it, Osaka’s most famous landmark! 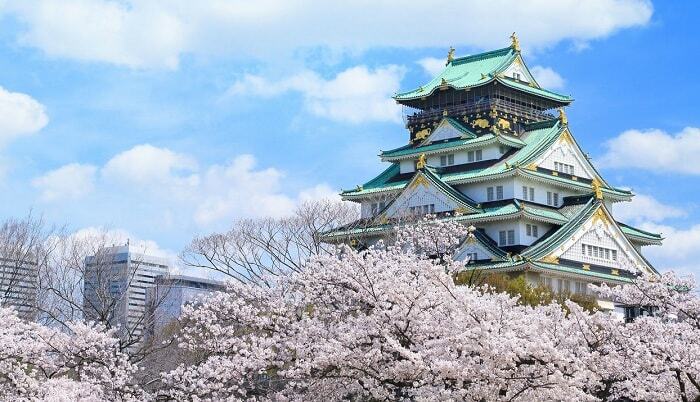 Located centrally in Osaka in the “Chuo-ku” district lies the Magestic castle in a beautiful park which has been named “Osaka Castle Park”… naturally. The castle was originally built in 1583 by Hideyoshi Toyotomi, but as it went through severe damage through the years it was rebuilt according to the original appearance in 1931. Although the castle has been reconstructed many of the key parts of the castle complex have remained such as the gates and turrets. Today it serves as a symbol of Osaka, and many people enjoy the recreational areas of the park particularly during the cherry blossom season. The castle is illuminated at night making it a beautiful sight. 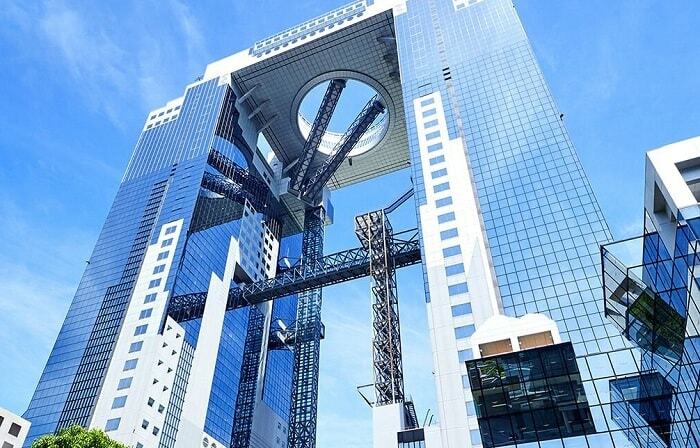 If you want an amazing 360-degree view over Osaka Umeda Sky Building is the place. The building is quite easy recognizable as it has quite a distinct architecture with a bridge connecting the two towers. The Umeda Sky Building also popularly known as the Floating Garden Observatory and the resulting view of the city from the observation deck is spectacular, particularly at night time. In the basement of the building you’ll find the TAKIMI-KOJI GOURMET STREET, set in the old days Osaka theme, which has quite a number of restaurants and adds contrast to the modern style of the building. Outside in the court yard of the building there’s usually something on such as different markets or venues, particularly at Christmas with European Christmas style markets. The ferris wheel is a popular tourist attraction and dating spot! 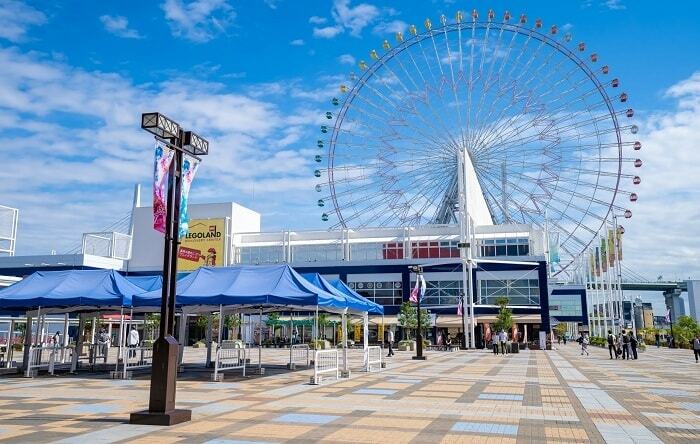 It’s located in Osaka Bay not far from Universal Studios, and the 15-minute ride is well worth it. The panoramic views of the city and the harbor is beautiful, and it’s particular popular in the evening where people enjoy the views of the city lights. Namba and Shinsaibashi is a paradise for shoppers and one the more recently developed shopping complexes are Namba Parks. It differs from other shopping complexes in the sense that it is built around a green concept with roof top gardens and individual vegetable gardens. It boats quite a lot of Asian and Italian restaurants as well as a variety of fashion brands. you can also visit the nearby shopping complexes of NAMBA CITY, NAMBA WALK, NAMBA NANNAN and EBISUBASHI-SUJI shopping arcade. 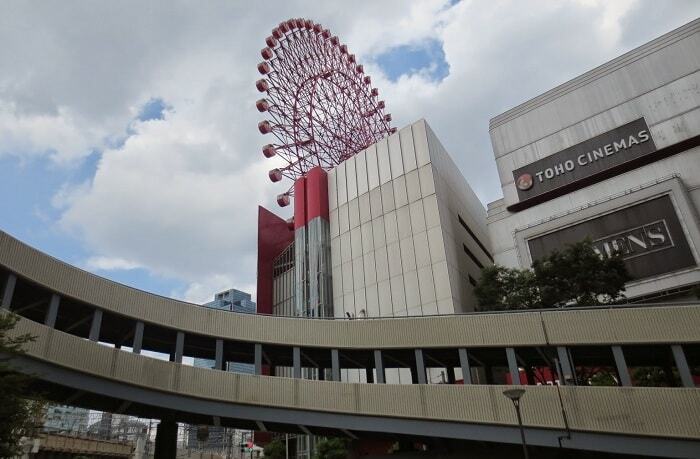 The Hep Five complex is located in Umeda and is a huge shopping and entertainment complex consisting of various food outlets and amusement areas such as pachinko and gaming lounges. On top of the building there’s a red ferris wheel where visitors can enjoy views of the city and mountains from the gondolas. 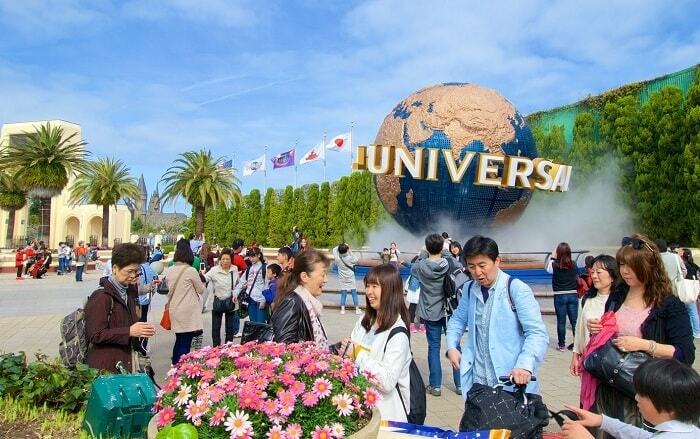 In case you want to let your hair down and enjoy a few rides USJ – Universal Studios Japan is a great option for you to visit. It’s located in the Osaka Bay in the area known as Universal City. Universal Studios Japan is one out of three. The Japanese theme park opened in 2001 and contains many of the same rides its American partners.